Home Relationship Advice My Ex Won’t Talk to Me – What Can I Do? My Ex Won’t Talk to Me – What Can I Do? 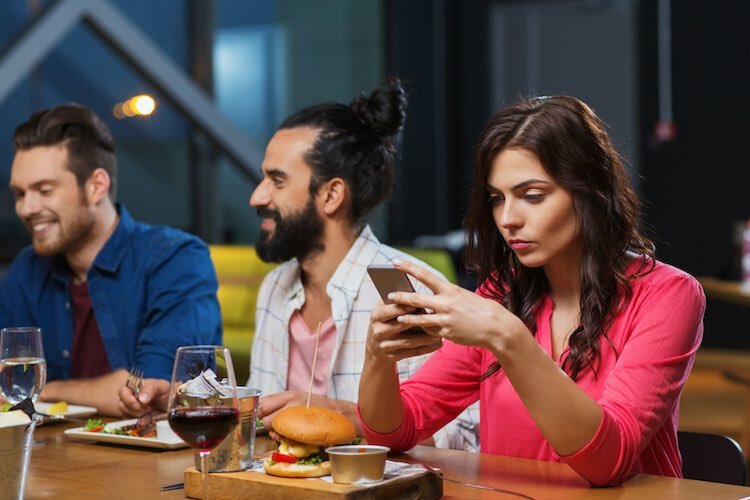 Texts, phone calls, social media… your ex was a huge part of your everyday life. But now that he’s suddenly gone? You miss and want him more than ever before. Losing someone you love is always hard. Losing the constant contact, even more so. This is one of the most difficult parts of breaking up. Knowing that, if you’re unsuccessful in getting him back, all this daily contact you grew to love so much just goes away. But what if he won’t even TALK to you? How are you supposed to get him back? Why Isn’t My Ex Calling Me? First, let’s examine why your ex isn’t talking to you after the break up. It has nothing to do with him hating you. It has everything to do with the feelings he used to have for you. See, emotional bonds that are formed during the beginning of your relationship are strong. The more time you spent with your ex, the stronger these bonds are. The more fun you had with your boyfriend, the tighter these connections will be. Ever heard that phrase? That’s the basis for falling in love. When two people share a connection, on a heart-to-heart level, they leave imprints on each others lives. Chances are you did this with your ex boyfriend. And chances are even better that he knows it. Your boyfriend is pushing away you for a single reason: to ignore these connections. When your ex won’t talk to you, or call you, or respond to your text messages, it’s all because he’s trying to continue the breakup by burying his existing feelings. Left alone, over time? Those feelings WILL go away. But there’s a limited window of opportunity, just after breaking up, when you can use those very feelings against him. 1) Your ex boyfriend misses you. 2) Your ex sees you differently than he sees you now. The missing you part is easy… but it’s hard at the same time. Because the first thing you need to do after breaking up? Is drop ALL CONTACT with your ex boyfriend. No contact means TOTALLY no contact! You can’t email him, call him, text him, or even ‘like’ his Facebook posts. You can’t comment on his Instagram pics. You can’t ask his friends about him. Basically, you need to shut your ex out of your life, much the same way he’s shutting you out. He needs to turn around and check to see how you’re doing… and see absolutely NOTHING. Understand something: you never miss someone until they’re no longer around. Your ex can’t possibly start missing you if he’s getting constant updates on how you’re doing, through his friends, your friends, social media, or what have you. Now I know “no contact” will be hard. It’s actually the most difficult thing to do. You’ll think that in not talking to him, you’re actually distancing yourself from your boyfriend. You’ll feel like he’s slipping away, or that he’ll forget about you. In reality though, you’re putting yourself in the best possible position for a future reconciliation. Because after a set amount of time, you’ll use one or more reconnection techniques to get back in touch again. Right now your ex boyfriend doesn’t see you as girlfriend material. That’s why he broke up with you. Even if he’s thinking of seeing someone else, or there were other factors, there was once a time when he loved you more than anyone or anything else. Getting back together is all about bringing him back to that time. Every single feeling your ex once had for you is like a direct chord leading back to his heart. There are methods and techniques for striking those chords, ever so gently, so that they reverberate against your boyfriend’s heart in the form of fond past memories. Your past history together is a huge advantage. But you have to tap into that advantage in some very subtle ways, or your boyfriend will realize what you’re trying to do. Once he sees that, all bets are off. Getting him back will be difficult once he knows what you’re up to. At the same time, if you can pull it off? You’ll change his mindset. Your ex will start thinking about you again, and in all good ways. Best of all, when he’s ready to reconcile? He’ll think getting back together was his idea. This ideology is crucial to staying together. The last thing you want is your ex taking you back out of pity or sorrow. That relationship won’t last a week. But when HE thinks he’s really losing something by losing you? HE’LL put in the effort to make the new relationship work. There are 8 individual steps necessary to getting your ex back, so find out what they are! And for guys looking to reconcile with an ex girlfriend, learn these 6 undeniable signs that she might want you back. To provide articles that cover many topics and from different perspective, we often bring guest post on our site that were either submitted to us or that we requested ourselves. Previous articleHow Do You Keep Your New Guy Interested? 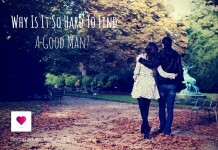 Why Is It So Hard To Find A Good Man? 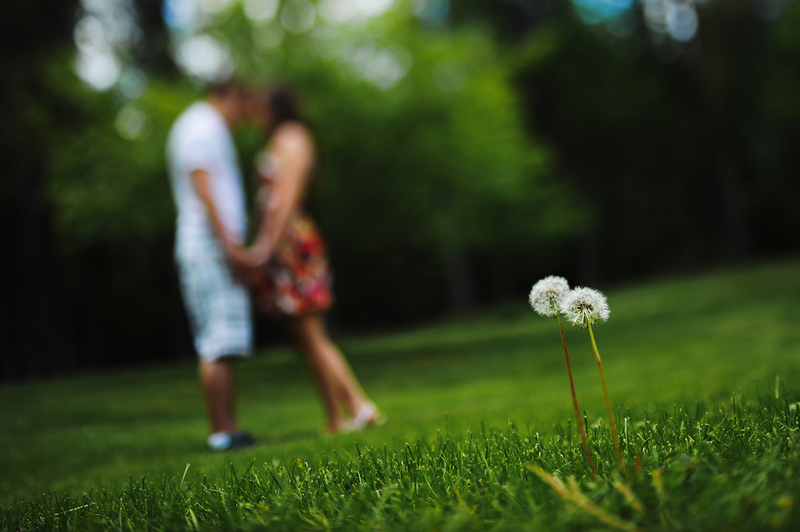 The Seven Steps to Plan a Perfect Marriage Proposal. HerSmile Review – A New Way Of Dating?